OutdoorZ.Life November 28, 2018 February 4, 2019 3 Comments on The Secret Marathon, a must read! How would you respond if the culture you grew up didn’t allow you to participate in sports of any kind? Or, how would you respond while recovering from a blood clot on your brain? One answer, from the life stories in The Secret Marathon, is to run. Not running from a problem, but rather persevering and building strength as you run to bring hope to others. Within the individual stories, Martin weaves in the history and beauty of a country that has been invaded, ruled, forgotten, and avoided. Reading about an Afghanistan National Park, the tremendous mountain scenery, and the country’s first female kayaker provide hope and inspiration for the people of Afghanistan and for people around the world. 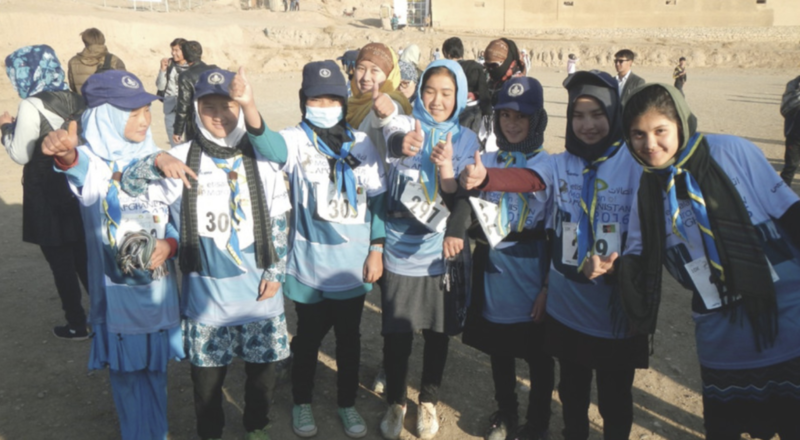 Just as the Silk Road (ancient trade route through Afghanistan) enabled societal changes, the Secret Marathon is paving the way for positive changes in this world, one step at a time. Wow. Sounds like quite the read. Yes, for sure. Inspiring, encouraging and motivating.